Unrivalled power, productivity and style. The new Mach VRT Series has been specifically developed to offer superlative quality and reliability combined with some of the most advanced technology the industry has to offer, complemented by iconic Lamborghini style. Mach VRT tractors are equipped with state of the art engines, a highly efficient continuously variable transmission and advanced axles and brakes for unparalleled driver comfort and safety. 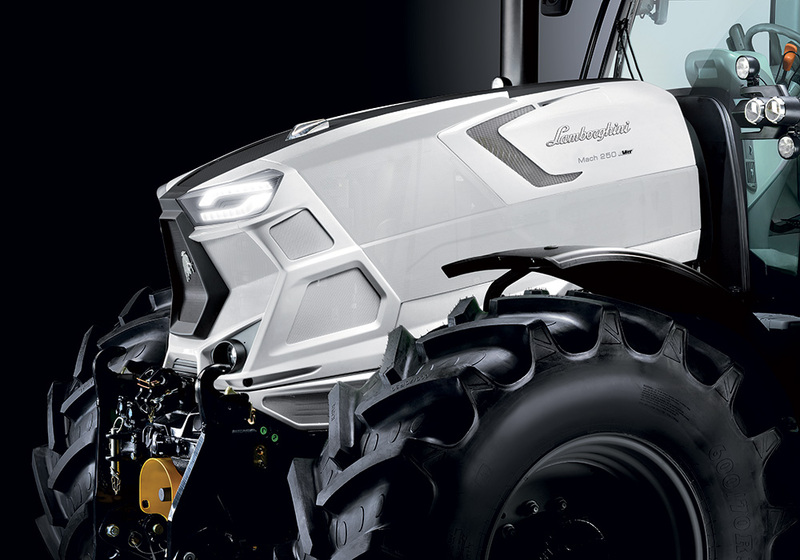 With the elegant white Lamborghini livery and an exclusive design, Mach VRT tractors have stylish looks to match their extraordinary productivity. But the Mach VRT range not only looks great, with its sophisticated, modern design, and also boasts superlative build quality, extraordinary reliability and class-beating technology. The new Mach VRT Series is powered by the Deutz 6.1 Stage V engine, which is more responsive, offers more torque reserve and is even more fuel-efficient that the previous generation. With an exhaust aftertreatment system using SCR and a passive diesel particulate filter (DPF), Mach VRT tractors are compliant with the latest and most stringent emissions regulations. The advantage of this solution over more commonly used systems with a diesel particulate filter only is that it does not require periodic regeneration cycles performed by injecting additional fuel. This saves fuel and means that less heat is generated under the hood. The use of and electronic viscostatic cooling fan further maximises the efficiency of the engine. Maximised efficiency. You couldn't ask for more. With 4 mechanical ratios, the ZF continuously variable transmission equipping Mach tractors is extremely efficient and comfortable to use in a wide variety of operating conditions. This transmission is designed to offer a top speed of 60 km/h with the engine at economy speed, but also allow the tractor to work at a ground speed of just 200 metres per hour at maximum engine speed. For greater efficiency and maximises fuel economy in all working conditions, the engine and transmission control units are in continuous dialogue with each other, while the Trailer-stretch function increases safety when driving with a trailer. While offered as standard with a 120 l/min Load Sensing pump, the hydraulic system may also be equipped with a 160 l/min version. An additional, independent pump delivers oil exclusively to the hydraulic steering system. These tractors are available with up to 5 rear hydraulic distributor plus an additional two at the front, all of which electronically and proportionally controlled. The maximum capacity of the rear lift is 10,000 kg, while a new front lift, with draft and position control and a lift capacity of up to 5,480 kg, is also available as an option. With a choice of three rear PTO speed modes (540ECO/1000/1000ECO) and two modes for the front PTO (1000 or 1000ECO), these tractors can tackle any task while significantly minimising fuel consumption. Top class comfort and performance. The new MaxiVision 2 cab is now separate from the engine hood and offers sublime levels of comfort with superlative ergonomics and easy to use controls. The panoramic roof is available in three different configurations, the new InfoCentre with 5" colour display and the armrest with a new multifunction joystick let the driver monitor the functions of the tractor and control speed, direction and the rear and front lifts easily and comfortably, while many other automated functions are accessible from the ComfortTip system. The new Mach VRT series is also ready for ISOBUS and advanced Precision Farming systems, the functions of which can also be managed from the 12" iMonitor3. Other options include an 8" monitor, two independent video cameras, a 40,000 Lumen LED pack in 4 light units, and supplementary solutions adding wireless data management and transmission capability to the tractor systems. Designed for satellite monitoring of tractors and equipment. 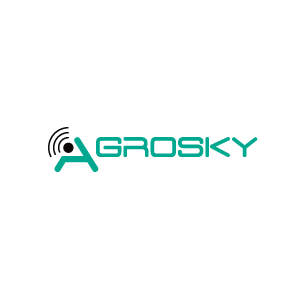 Agrosky is an advanced Precision Farming system which, via a connection with satellite receivers, allows the vehicle to be driven with accuracy, optimising productivity and cost of ownership. Systems certified for maximum compatibility with all equipment. ISOBUS provides an interface on both the front and rear of the tractor to ensure compatibility with equipment produced by all manufacturers in line with the ISO 11783 standard. The equipment operation screens are displayed on iMonitor 2, thus allowing the operator to individually operate all devices from a single monitor. This ensures maximum working comfort and improves visibility. 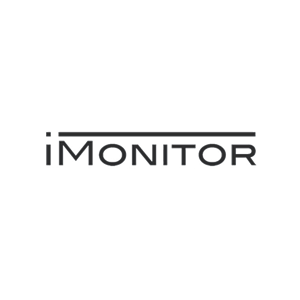 The iMonitor3 is the central control unit for all Smart Farming applications. The single user interface permits clear and intuitive operation, which helps operators perform their daily work. VRT continuously variable transmission: for working in the field and driving on the road with an infinite range of speeds. Deutz Common Rail. High pressure common rail injection system, with two lubricated injection pumps integrated in the engine block, and an innovative combustion chamber configuration for superlative power and torque over a wide range of engine speeds. An electronic system which automatically engages and disengages drive to the front wheels and the differential locks in relation to steering angle and speed. Hydraulic reverse shuttle with two multiplate wet clutches (one clutch pack for each direction) and an electronic control unit. Efficient, robust, reliable and flexible. Park Brake, for stopping the tractor and maintaining a stationary position in complete safety in all gradients. The park brake consists of a combined mechanical-hydraulic system which exerts a constant pressure on the rear brake discs.